Incredible results and inspiring journeys; see some of our patients— before and after photos the next time you visit our practice. All of our patients below are actual patients of Dr. Legan and Dr. Hernandez. Viviana had upper and lower crowding, high canines, and an uneven smile. 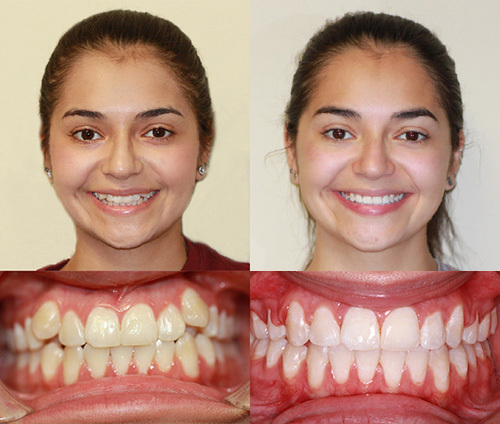 With excellent patient cooperation, Dr. Hernandez was able to finish treatment in 23 months. She now has an amazing smile to show off! When we met Sarah, she presented with severe upper and lower crowding and an uncomfortable bite. Early in Sarah's treatment, she had extractions of bicuspids and continued with upper and lower braces. 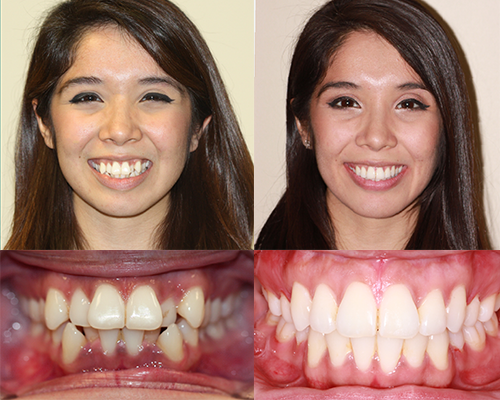 Dr. Legan used power chains and elastics to close spaces and correct her occlusion. 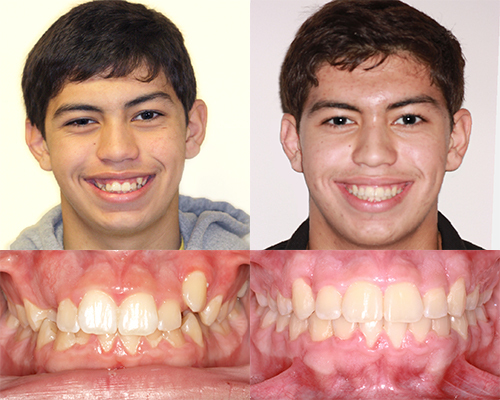 In only 1 year, Vaugh Glen's smile was transformed. His primary concerns were the upper left high canine and non-erupted upper right canine. After braces were placed, teeth were aligned and with excellent patient cooperation, Vaughn Glen used his elastics to correct his bite. Karen came in for a consult concerned about her crowded teeth and smile. Karen used an expander appliance on her upper arch to help widen her smile. 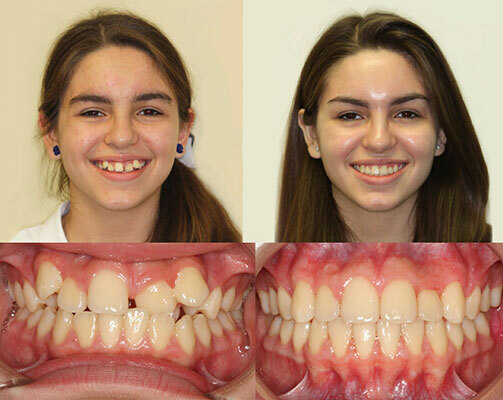 Braces were then placed once her upper arch was fully expanded. Karen had some interproximal reduction done throughout treatment and used elastics to help correct her bite. We think Karen's new smile is absolutely amazing! Barbara came to us concerned about the lack of space in her upper arch and the position of her upper canines. 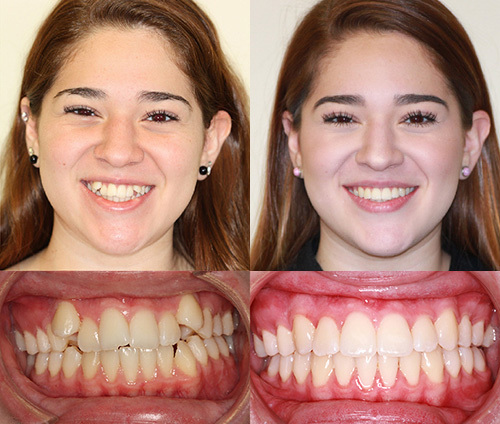 She wore upper and lower braces and used elastics consistently throughout treatment. Barbara finished with a contagious smile! Jaelynn had misalignment of her upper front teeth. She wore partial braces to correct her concern during a Phase I treatment. 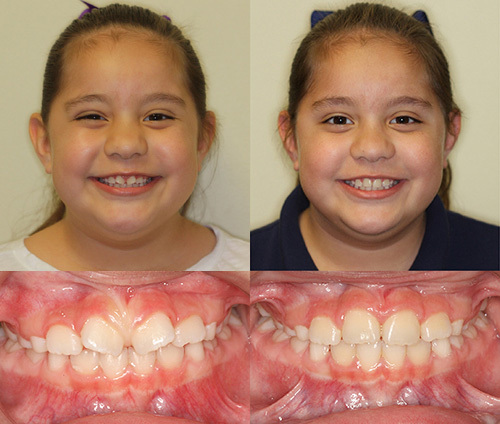 Dr. Legan was able to close Jaelynn’s gap in the top and align her upper teeth in just under 4 months. Jaelynn has not stopped smiling since we removed her braces! In only 6 visits Amahia's anterior crossbite was corrected. 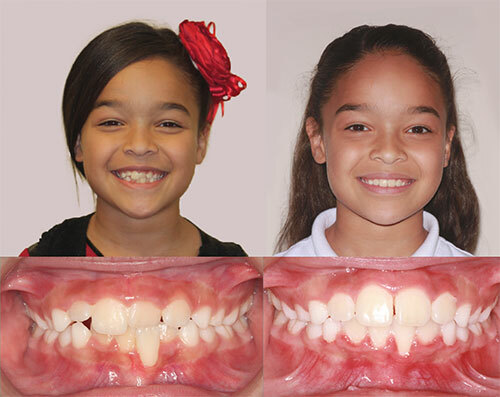 Amahia had a few brackets placed on her upper and lower teeth. With her crossbite corrected, her permanent teeth will now have space to come in on their own as she gets older. Miss Jr Southwest Texas USA 2017 is in love with her new smile!